Beautiful card Sylvie - I love to see how we are managing to get 1 button, 3 brads, 1 ribbon and 1 extra emb. onto our cards. Hope you have a wonderful day in Spain. Sounds like fun! If the motorbike is calling, the weather must be fabulous...you lucky girl! Your card is adorable. That is such a sweet image and your take on the brief is great. The poinsettia cluster is fabulous! 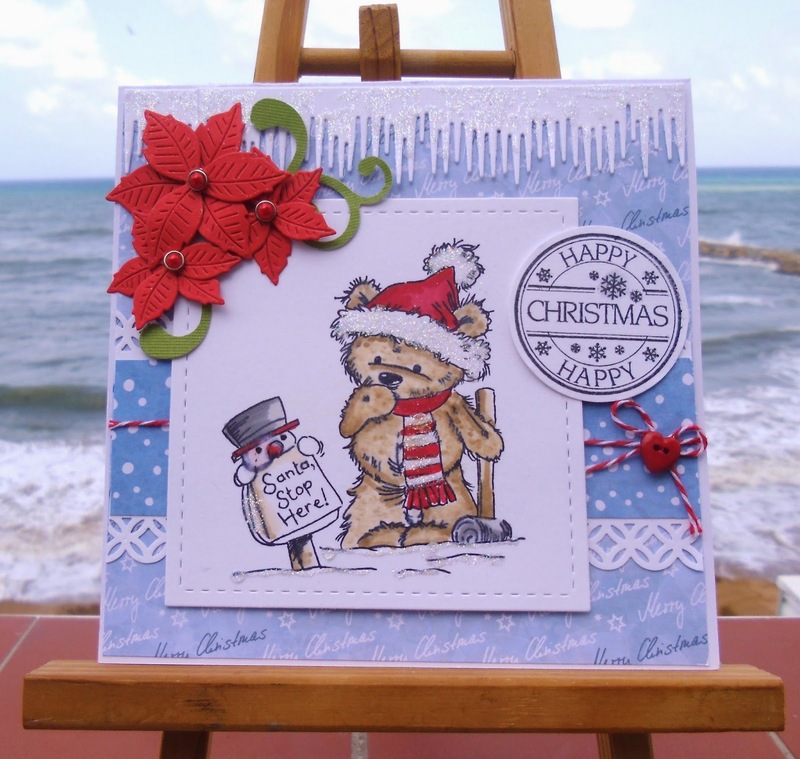 A sweet image and a lovely way to incorporate all the challenge pieces. Lovely cute card using Zoe's elements perfectly. Everyone has made this look so easy but I really struggled. Hugs Mrs a. CUTE card, Sylvie. LOVE the icicle die cut. What a sweet Christmas card, Sylvie! Hope you had a wonderful trip!